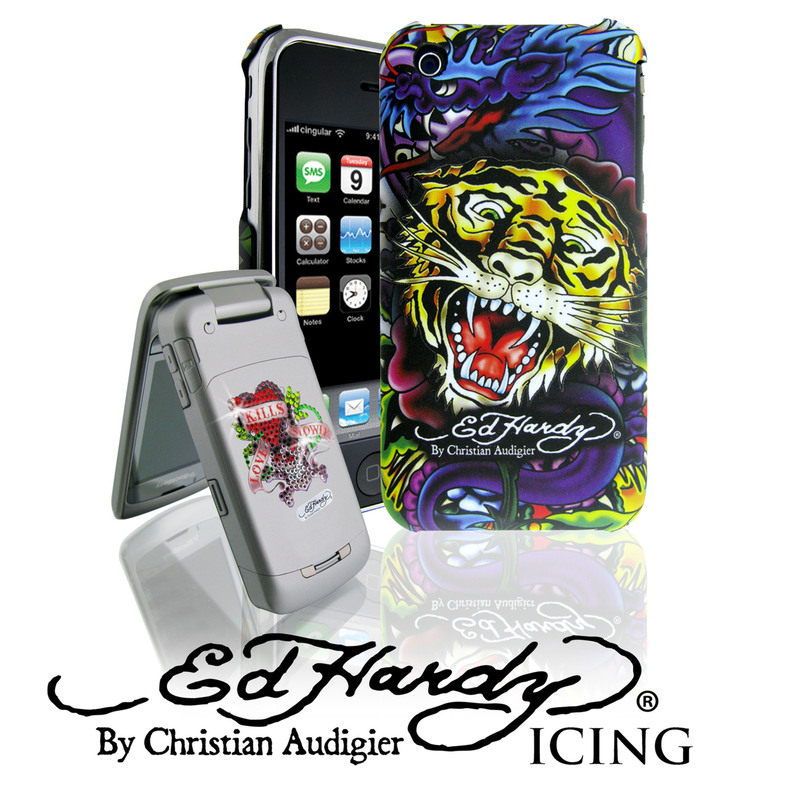 Ed Hardy Expands, Taps Mobile Phone Market – Sooo Fabulous! The Ed Hardy brand is expanding yet again. Now, in addition to apparel, footwear and other traditional fashion items, Ed Hardy faceplates for the iPhone and Blackberry devices are making the rounds in stores. I learned today that the new products are on sale at 1100 Office Depot locations and online at BestBuy.com. The Ed Hardy rhinestone decals will also be available at 340 ULTA stores across the nation.